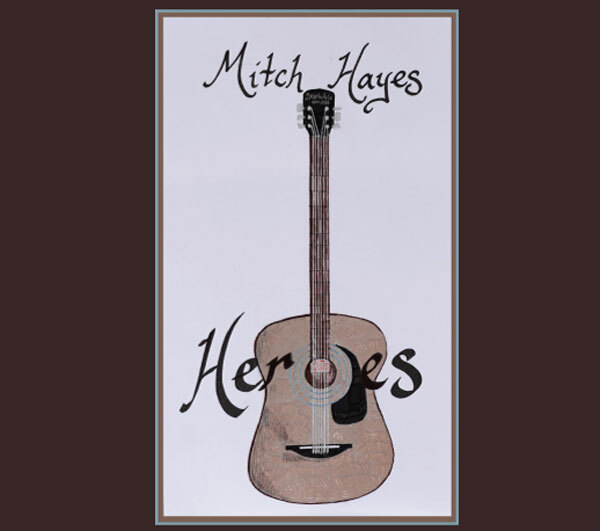 Mitch Hayes has just released a new album, Heroes. “Each song on the album has a compelling back-story,” reveals Hayes. ‘The Hardest Thing’ is about the oft-told them of love and loss. Love is such a wonderful thing and yet sometimes it seems to be completely unattainable. ‘All Fall Down’ deals with the civil unrest our country, and in particular, my city, is going through at present. 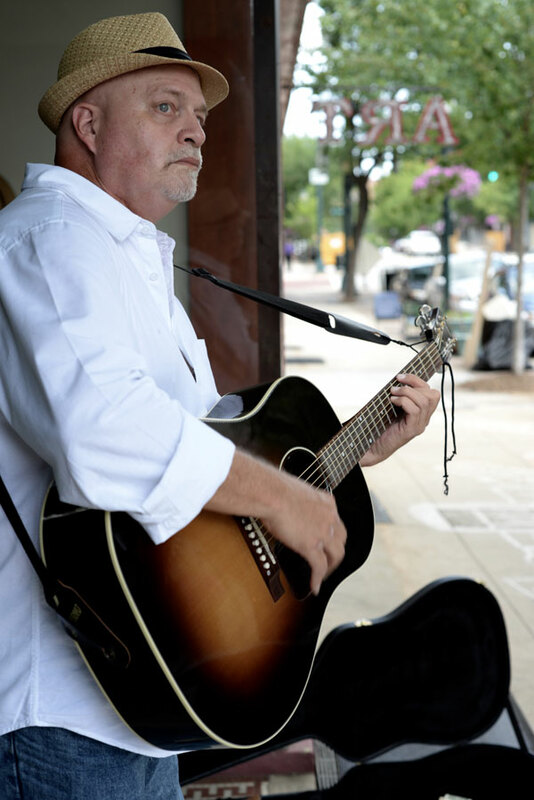 Compelling singer-songwriter-guitarist Mitch Hayes, nominated in the Folk/Americana category for the 2016 Queen City Awards. Award voting takes place now through November 20 at queencityawards.com/voting. The Awards Show takes place on Saturday, December 10 at Community Outreach Christian Ministries Center, 1800 Brewton Dr., in Charlotte. We thought we would do a little investigating into an artist that came from the “shadows” as it were to be recognized for such an achievement. We Interviewed Mitch about his world, Music and Philosophy, and thought you need to know this man and artist. Why did you name your new album, “Heroes”? Originally the Album title was going to be Home Again, with that song as the title track. But one day, and I cannot recall exactly when, I began to muse on the lyrics of the songs. Many of them deal with personal heroes that I have had in my life. In fact, the fabric of this record is permeated with them, with thoughts of and appreciation for those men and women living and dead whose words and lives have inspired me to reach for the stars, to strive to become the best me I can be. “A Peaceful Revolution” deals with spiritual heroes, men and women that fought against injustice. “All My Heroes” speaks to the fact that many of my musical heroes and influences are no longer with us. “Ashes and Dust (Erin’s Song)” is about my daughter Erin rescuing me from depression by helping me find my way back to who I truly am. “Life Goes On” celebrates the life of my Mom and Dad. My Dad is my ultimate hero. 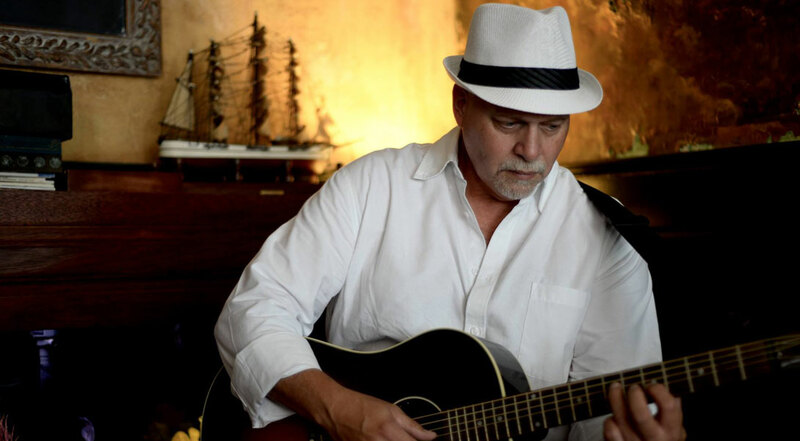 “Home Again” is about overcoming addiction, with the help of family and friends. How long have you been playing music? When did you start performing live? I’ve been playing music since my early teens, when I picked up a set of drumsticks and, never having had a lesson, was good enough to become the drummer for my brother’s band. We did school dances, private parties and the like. I eventually gravitated to guitar, then banjo, bass, dobro, and a brush with pedal-steel (wasn’t very good at that one). I began to write my own songs when I was around 21 or 22. “Look At You” on m latest CD release “Heroes” is the first song I can recall writing and that was around that time. It must be noted that I come from a very musical family, all the way back to my Dad, Grandfather and two of my Uncles singing Barbershop. When we have a family reunion we will sit around and play and sing long into the night. We have opera singers, jazz players, music and voice teachers, and everything in between. My uncle Bill Hayes had the original #1 hit of the classing song, “The Ballad of Davey Crocket,” back in the day. You just posted a new video, “All Fall Down,” that is getting really great response! How did the idea for this video first come to mind? Recently Charlotte NC became a national, even international focal point in this issue. My publicist, Doug Deutcsch approached me with the idea of making a video of the song. He felt that the lyrics of this song could offer hope, bring Light and Healing to society filled with darkness and pain and that perhaps a video would be the best vehicle to get that message out there. I contacted Wes Cobb of WestArtVideo about the idea and he was immediately on board with it. I already touched on a few of them in an earlier question, but I can speak to some of the others. “The Hardest Thing” is about the age-old theme of love and loss. The inspiration for this song came from watching my son go through a painful break up with his significant other. Most people have felt that pain at some time in their life.” Something Deep Within” also speaks to this. “Hand of the Devil” is kind of an homage to the old west gunslinger ballad. I love westerns, especially the “shoot em’ up gunslinger stories. In this song, the young lawman confronts the aging gun for hire who says to him “I’m just an old man in a young man’s game.” “Helping Hand” came from a Facebook post, of all places. The picture showed a down and out, tattered and torn woman standing in a pit with a woman standing above, hand stretched out toward her. The caption read “Don’t look down on me unless you’re helping me up.” I just had to write a song about that. We all need that helping hand at one point in our life and what we don’t need is to be ridiculed or put down. Do you believe that the role of a singer-songwriter such as yourself, is to write socially-conscious songs? Yes, among other things. I think that we are in a unique position to speak to things like social injustice and political wrong-doing. Doing so in a song can sometimes make it more palatable than standing on a soapbox or blasting out in the newspaper or a blog. And I believe it is everyone’s responsibility to speak truth when needed. Wasn’t it Martin Luther King who said “Darkness cannot drive out darkness, only light can do that. Hatred cannot drive out hatred, only love can do that?” I think we have a responsibility to bring the light and the love that our society desperately needs. But I also feel there is a place for the simple love song, the ballad, even just a plain old silly tune. What is the current state of the live music scene down in the Charlotte, North Carolina area where you live? Charlotte and the surrounding area is rich with talent. We have quite a few amazing singer-songwriters performing some incredibly good original music, which is my preference of course. If you’re out and about on a Friday or a Saturday night, you can hear both original and cover artists performing some very good music at any number of bars, restaurants, private parties, etc. However, as with many cities across this country, we deal with some degree of lack of support for local music. It’s unfortunate that of late we have had some Iconic long-standing music venues to close their doors because of this. In my opinion local music is important to the community. It brings atmosphere to a restaurant or a bar. In most cases I would rather listen to a good local artist in small venue than go to a major concert. So diverse, but mostly indie singer-songwriters, Megan Jean and the Klay Family Band, Matty Sheets and Magpie Thief, Chuck Johnson and Charlyhorse, Josh Burch, Gigi Dover & The Big Love, Drew Kohl, Alex Delphenich, to name a few. You’ll also find Dylan, Neil Young, Crosby Stills Nash & Young, Gram Parsons, The Byrds, Buffalo Springfield and Jackson Browne. If you weren’t playing and performing music, what other profession would you either be pursuing, or making a living in? I’m actually retired from a 42 year career in Healthcare, a Respiratory Therapist, mostly worked in Pediatrics. I retired in order to devote myself to my music. If I were going to do anything else, working with sick children would still be on top of the list. Can we expect a Mitch Hayes Tour at any point in the future? I’m working on doing just that, probably regionally, first, here in the Southeast. But I’m also planning some short tours to other areas, Austin TX, NYC, Sarasota Fla, etc. These are in various stages of planning. Best social media links, website, etc. to keep[ up with all your music information? www.mitchhayesmusic.com, www.facebook.com/mitchhayesband, www.soundcloud.com/mitch-hayes-4, www.twitter.com/mitchhayesmusic, You can download for FREE, 3 songs from my latest release “Heroes” at www.noisetrade.com/mitchhayesmusic, Radio stations (traditional and net based) that participate with Airplay Direct can download my entire CD for airplay at http://airplaydirect.com/mitchhayes. Awards Ceremony and Info: (704) 333-4280 or http://cocmcharlotte.org/.